Hello Wench: Packing up my life in a weekend~! 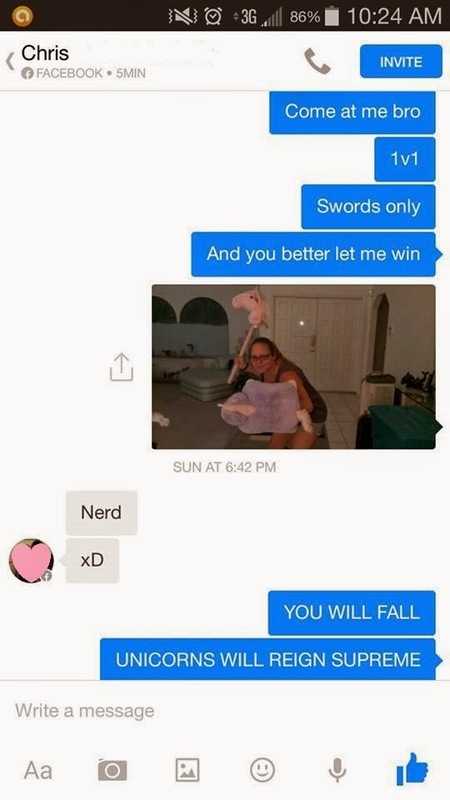 Unicorn Warrior Status - dont mess with the best! Its less than a week now until I move to my new apartment. And I hadn't even started packing yet, so this past weekend I started. On Saturday everything ran exactly on schedule, my two best friends came over to help and we had an amazing time reminiscing over things. It was so amazing to find all these obscenely old things and laugh with my friends over memories. I loved reading some of the old diaries I had kept, most of them were covered with stickers. But some of them had some weight to what I was going through at the time. In one entry that was particularly poignant to me was from when I was about 12. And it made me realize that not much as really changed. It did make me realize however, how much I have grown and how much more confident I have become since then. Sunday however, was one of the most hilarious days ever. A ton of work was done and many more laughs ensued. I found a ton of things from when Chris and I first got together. Looking back though, I realize that our love has grown and matured and I love him more now than I ever have. Its lovely to find these things when love was blossoming and track your relationship as it bloomed. However, I also found some of my vices: cats and unicorns. Both boys have approved a unicorn themed apartment. Some through different means than others. 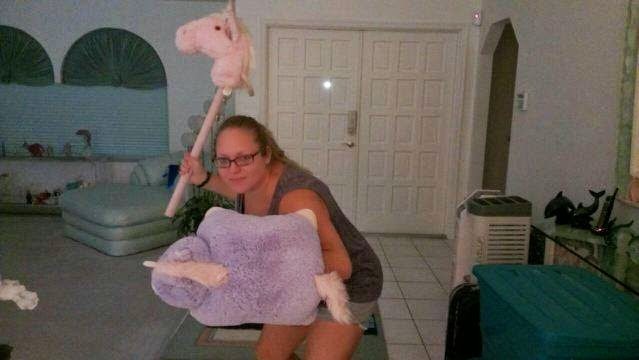 The shield is a pillow pet and the sword/club is a stick unicorn that made noise. I have no shame. In almost everything is some kind of horse/unicorn and cats. Also, my new room-mate Will decided he would be king of the squeaky hammers. 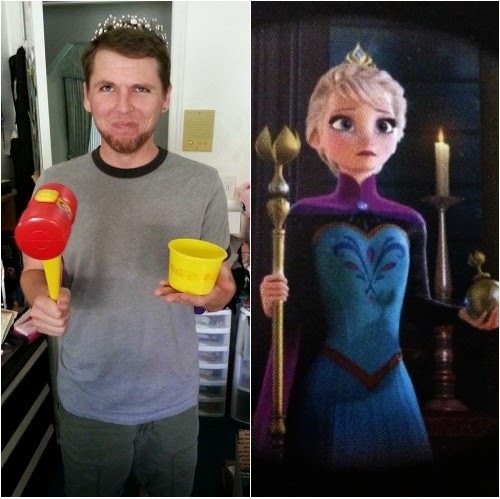 His coronation was very reminiscent of Queen Elsa's coronation in Frozen. Squeaky Hammer Sceptre...? Uh, YES! I seriously can not wait until Friday when we finally move. This next year is going to be a journey for all of us, and I can not be happier with the people I'm going to be experiencing this with.